In a major reversal, Duke Energy Florida said Tuesday that it agreed to buy an existing, independent natural gas plant in Polk County and withdraw its proposal to build $190 million in peak power units of its own in 2016. The proposed agreement with Calpine Finance Construction Co. would allow Duke Energy to purchase the 10-year-old Osprey natural gas plant in the Auburndale area of Polk County. Details of the surprising deal were not yet disclosed, and its impact on ratepayers remained unclear during the first of two days of hearings held at the Florida Public Service Commission. Sterling Ivey is the same who previously tried to sell the rate-hike deal for Duke’s failed Crystal River nukes in Citrus County, later pushing Duke’s Citrus Valley gas plant as a customer of Sabal Trail. Now he gets to say nevermind. Duke and Spectra and FPL aren’t looking too good as predictors of Florida’s power needs, or even of what they’re going to do next. “No matter what happens here, Citrus is needed,” John Burnett, a Duke lawyer, told the commission after announcing the agreement. But Duke’s decision to abandon, at least for the near future, its plans to build new peaker units — power needed when demand is highest — threatened to derail all three proposed projects because the utility had argued that they were a package needed to meet future electricity demand. Some opponents of Duke’s deal with Calpine said the agreement raises questions about the need for any of the utility’s plans, given that there still are other independent plants for sale and other ways to meet demand. Notice these would have been “peaker units”. When’s peak time in Florida? Mid-afternoon, when all the air conditioners are running. The same time solar panels generate the most power. Maybe Duke should get on with solar power in the Sunshine State. Yes, Duke, as PCS Phosphate also asked, what is the need? Why not build solar plants to meet peak demand? Add efficiency and conservation, and still shut down some of those old 1950s gas plants. And what is the need for the Sabal Trail fracked methane pipeline? 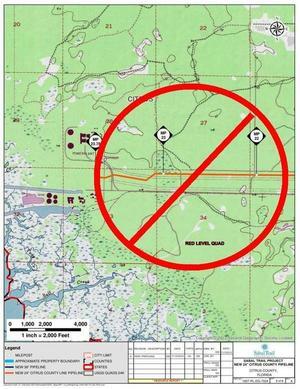 Duke already said it doesn’t need Sabal Trail for its Citrus County power plant, and now Duke won’t be using Sabal Trail methane for modernizations at its Suwannee Plant. So Duke apparently doesn’t need Sabal Trail at all. Solar power is faster, cleaner, cheaper, doesn’t need fuel piped in through a 600-mile hundred-foot wide gouge, doesn’t need water for pressure testing or cooling, and brings jobs and lower electric rates right here where we need them.